The Italian pear sector is struggling. Despite the relatively limited volumes available, prices remain low. The sector is experiencing quality problems in both Spain and the Netherlands. 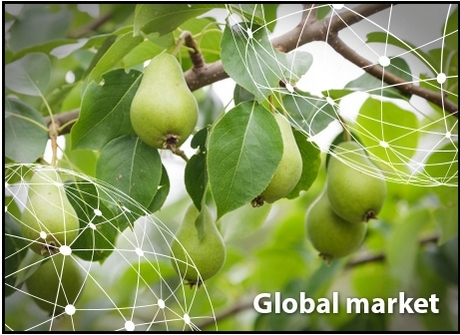 In France, consumption is lagging behind, while European pears are selling quickly on the German market. In Australia, exports have increased by no less than 75% last year. In the US, the domestic production is expected to last until June, at which time the market will switch to exports. Chinese traders are exporting somewhat less this year due to their disappointing production, but are doing well in the domestic market.